Blood orange. The name may make you a bit queasy, but no doubt you’ll enjoy this fruit, not just for its flavor but for its deep, red color. The red comes from an antioxidant called anthocyanin (also found in other red produce, such as raspberries and red-fleshed potatoes). 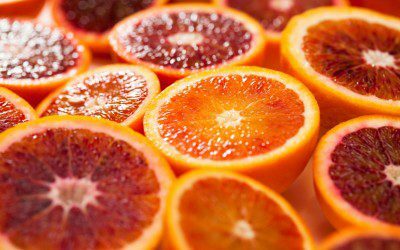 And like other citrus fruits, blood oranges are free of fat, cholesterol, and sodium, and rich in vitamin C. One blood orange has about 70 calories and 16 grams of carbohydrate. Try it. Enjoy blood oranges as a snack, in a salad, or topped with Greek yogurt for a healthy dessert. Kañiwa. Move over quinoa, you’ve got some competition. Kañiwa (pronounced ka-nyi-wa) is a South American grain that’s smaller than quinoa. Like quinoa, kañiwa is high in protein, fiber, iron, and calcium. 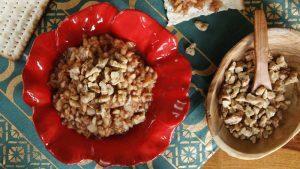 (Note that the protein and fiber content mean this grain is less likely to spike blood sugars). It’s also gluten-free. In addition, kañiwa is a little easier to prepare than quinoa (which often requires repeated rinsing before preparation). One-half cup of cooked kañiwa contains 160 calories and 30 grams of carbohydrate, along with 4 grams of fiber and 7 grams of protein. Try it. Use kañiwa just like you’d use any other cooked grain — served as a side dish, added to soups or stews, or tossed with salads. Pistachios. Pistachios are nothing new, and many of you recall the days when pistachios were dyed red, staining your fingers and sometimes your face as you tried to pry them open. Pistachios are native to the Middle East and Asia, and it wasn’t until recently that these nuts were grown stateside (first planted in California, to be exact). Today, the U.S is the second largest exporter of pistachios, the first being Iran. These tasty nuts are rich in both monounsaturated and omega-3 fat, heart-healthy types of fat, as well as B vitamins, vitamin E, and selenium. They’re thought to be “diabetes-friendly,” as well, since munching on these tasty nuts has been shown to lower blood sugar and insulin levels. However, like all nuts, pistachios come at a cost: They’re high in calories, so watch your portion. A quarter-cup contains 170 calories, 14 grams of fat, 8 grams of carbohydrate, and 6 grams of protein. Try them. Like any nut, pistachios are great for a snack. But you can make them part of a meal, as well: Chop them up and sprinkle them over grilled steak or fish, or sprinkle them on top of a salad. And if you don’t want red fingers, buy uncolored pistachios. Kalettes. Just when you thought you couldn’t take another bite of kale, along comes a new vegetable called “Kalettes.” A cross between kale and Brussels sprouts, Kalettes are a hybrid vegetable (not to be confused with a genetically-modified vegetable, by the way), with a thick stalk and leaves. They can be eaten raw, but also roasted or steamed or cooked in pretty much any manner that you’d cook kale or Brussels sprouts. Another plus: They’re really low in calories and carbs. One-and-a-half cups contains just 45 calories and 6 grams of carbohydrate. Kalettes are a good source of vitamins C and K, too. Try them. Check out the Kalettes website for recipes. Skyr. Never heard of it? That’s OK, because you can probably find this right in your grocery store. Skyr is an Icelandic yogurt made from skim cow’s milk and live bacterial cultures. The whey is drained off, leaving a thick, creamy yogurt. Apparently the Vikings brought Skyr to Iceland about 1100 years ago and the rest, as they say, is history. This Icelandic delicacy is low in fat and sugar, but full of protein and calcium. Siggi’s is a common brand, and an 8-ounce container of the plain flavor contains about 120 calories, 0 grams of fat, 8 grams of carbohydrate, and 23 grams of protein. Try it. Skyr is delicious enough to eat by itself, but as with most types of yogurt, it’s also great with oatmeal and fruit, used in place of sour cream, or blended into a smoothie.